Then someone at my side says, "There! She is gone!" Gone from my sight, that is all. She is just as large in mast and hull and spar as when she left my side. And other voices ready to take up the shout of joy "I see her! Here she comes!" 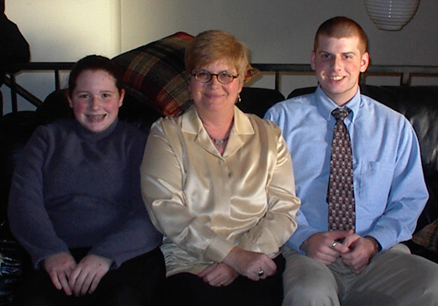 Daughter Denise, center, and her daughter, Whitney, left and son Kevin, right. 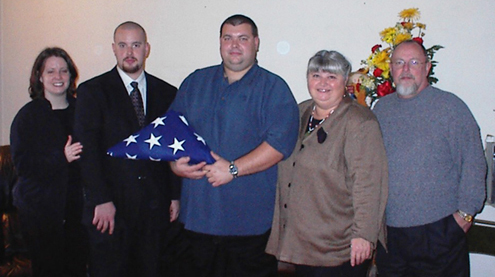 Dad's flag draped casket & son Robert, who coordinated the memorial service. 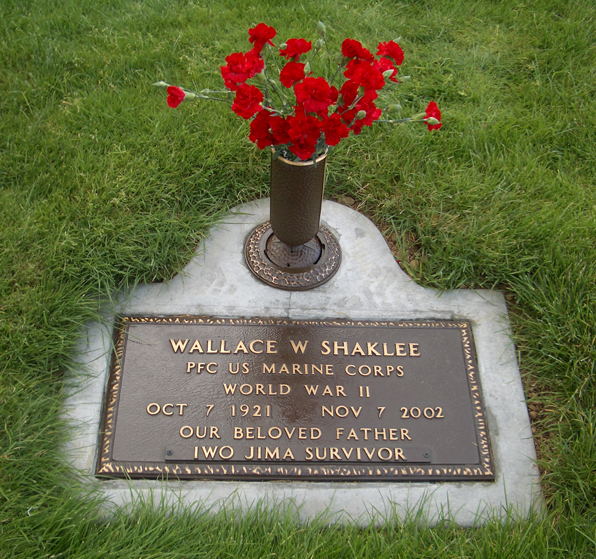 Dayle and I had a bronze vase installed on Dad's headstone. Here are some flowers we brought & Dayle polished the marker. 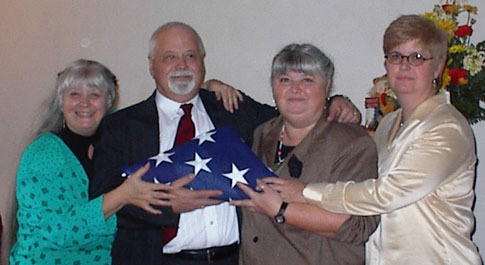 Roberta and Teddy Mills had the "IWO JIMA SURVIVOR" plaque installed for Dad. 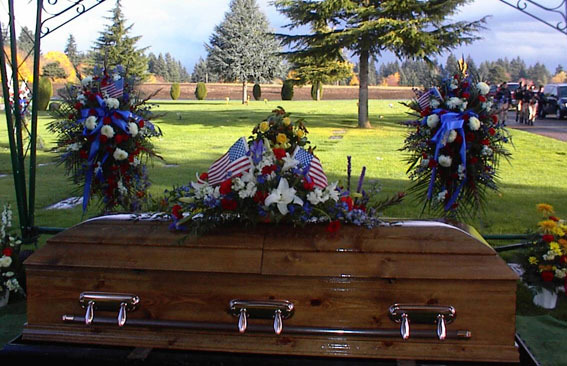 NOTE: All digital photos of the funeral - compliments of Eddie Gene Hutton, my cousin, son of Betty Emery's sister, Susie Hutton. Click HERE to email Teresa.